"Millions of Parallels Desktop customers highly value performance and efficiency," said Jack Zubarev, Parallels president. "With Parallels Desktop 14, we've taken those to the next level by focusing on graphics and storage, allowing customers to save as much as 20 GB of disk space while enjoying the best-ever performance. Personal productivity enhancements include more Windows features available on Mac devices. Touch Bar support for Windows applications - such as OneNote and Quicken - enables customers to add their favorite applications to the Mac Touch Bar so their shortcuts are at their fingertips." As always, the new Parallels comes with a raft of technical improvements. Previously, a typical virtual machine can take up anywhere from 15GB to 100GB or more. Now, thanks to both a newly-engineered storage optimization process and a Free Up Disk Space tool, Snapshots in Parallels 14 take up 15% less disk space than they previously. Like last year's Parallels 13, the new version of Parallels tries to blur the lines between Windows and Mac users. The software now allows Mac users to utilise Microsoft Ink and Windows-virtual machines to further utilise the Touch Bar found in the new Mac Books. This time around, Parallels have streamlined the customization process, empowering users to easily and quickly create their own unique Touch Bar shortcuts. Parallels 14 also supports Dark Mode via MacOS Mojave. Parallels say that support for additional features will be tested and added as Mojave approaches public release. 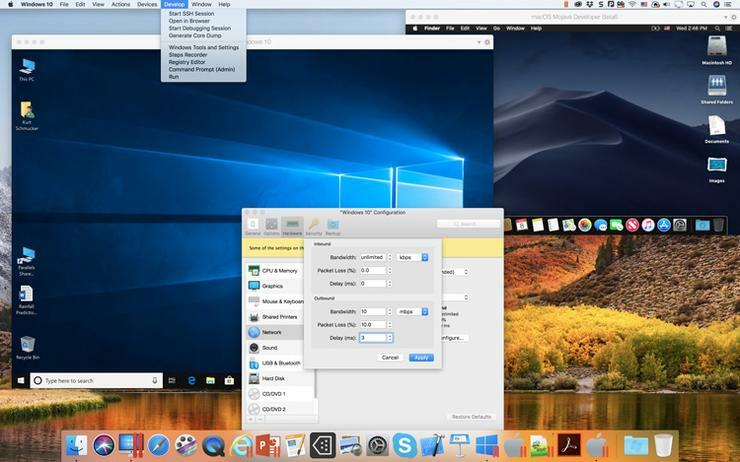 The latest version of the popular virtual machine also features improved OpenGL support, with Parallels quick to highlight significant improvements in programs like SkethUp, CTVox, DIALux 8 and OriginLab. Support for 4K webcams has also been added. Parallels Desktop 14 is available now at a recommended price-point of $109.95 annually or $137.95 for a perpetual license. Parallels Desktop for Business and Parallels Desktop for Mac Pro Edition are also available, but only for a $137.95 yearly-subscription. If you already own a perpetual license for Parallels Desktop 12 or 13, you can also upgrade for a one-off payment of $71.45 or switch to a yearly Pro Edition subscription for $71.45 per year.